Another impressive game by Jordan Clarkson as he scored another 18 points in the win against the one of the top team in the Chicago bulls. 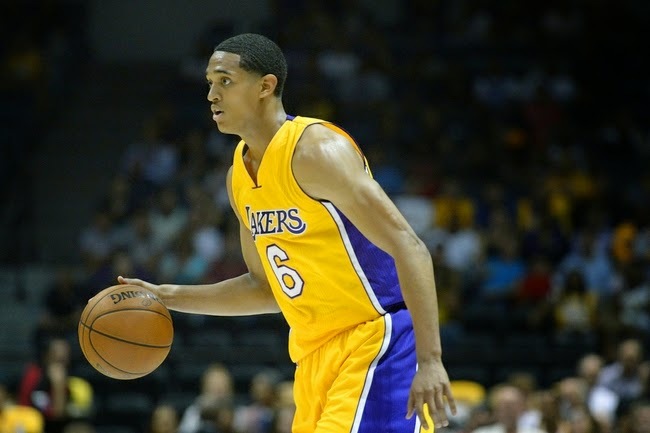 Don't underestimate the skills of the Fil-Am NBA Player Jordan Clarkson. Clarkson had 18 points, 4 assist and 2 steals in a win against the Chicago bulls last January 29, 2015 while LA Lakers Center Jordan hill had the best points with 26 points including 12 big rebounds. The L.A Lakers win the game 123-118 by 2 OT. Clarkson who have been sent out to d-league coming back and showed a lot of skills, movement and speed today. In last two games that he was included in the starting line-up Jordan Clarkson averages 18 points and 3 assist. The next game of the L.A Lakers is on February 1 against the New York Knicks.